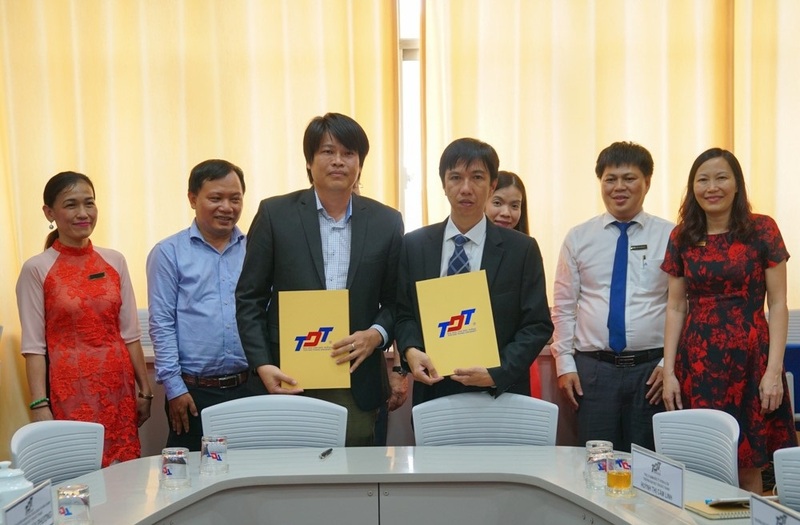 On the afternoon of March 21, 2019, the Faculty of Business Administration of Ton Duc Thang University (TDTU) had a meeting and signed a Memorandum of Understanding (MOU) with HIMA Cordyceps Joint Stock Company. 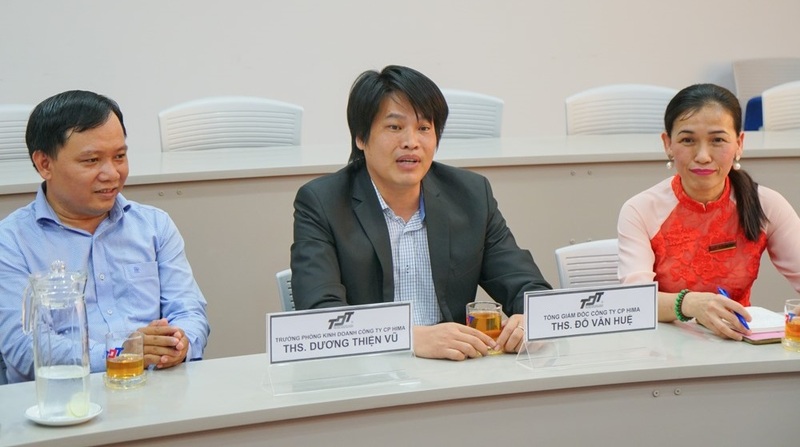 TDTU was represented by Dr. Vo Hoang Duy, Vice-president and the Leader of Faculty of Business Administration; HIMA was represented by Mr. Do Van Hue, General Director and Mr. Duong Thien Vu, Sales Manager. 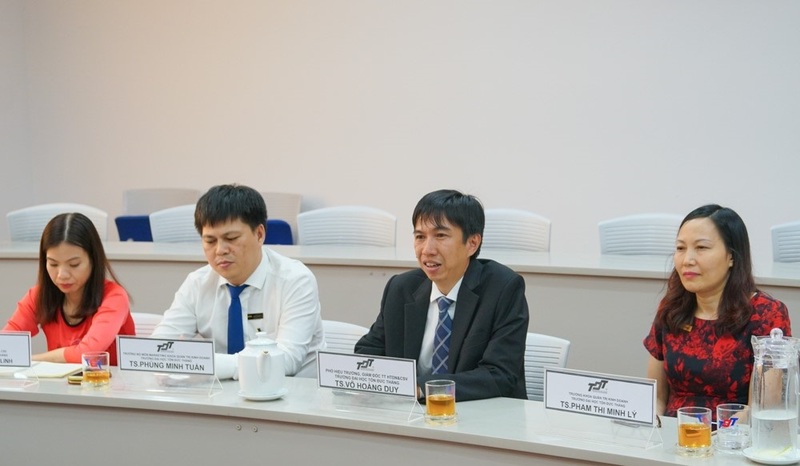 At the meeting, HIMA introduced its production, business activities and a number of Cordyceps as well as projects to develop public health protection products. Under the MOU, HIMA will support undergraduate education for the Faculty by sharing practical experience in the field of business, contributing to career orientations of students. At the same time, HIMA will open its doors to welcome students and teachers to carry out program of visiting, practice and internship to help students access and experience reality to improve their professional capacity. 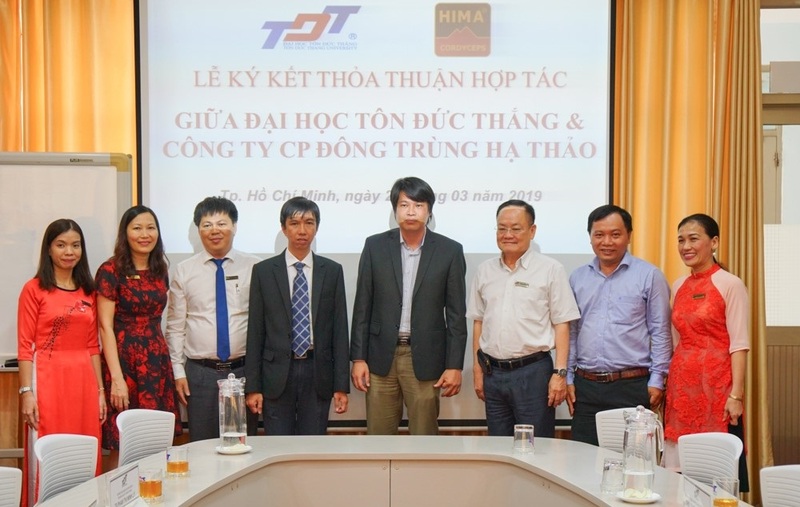 On the contrary, TDTU Faculty of Business Administration commits to train and introduce high quality human resources for HIMA. HIMA Company is one of the leading enterprises in the field of research and cultivation of Cordyceps. With more than 10 years of experience, the company’s dedicated staffs and professionals have successfully researched and launched many high quality and reputable health protection products in the domestic and international markets.